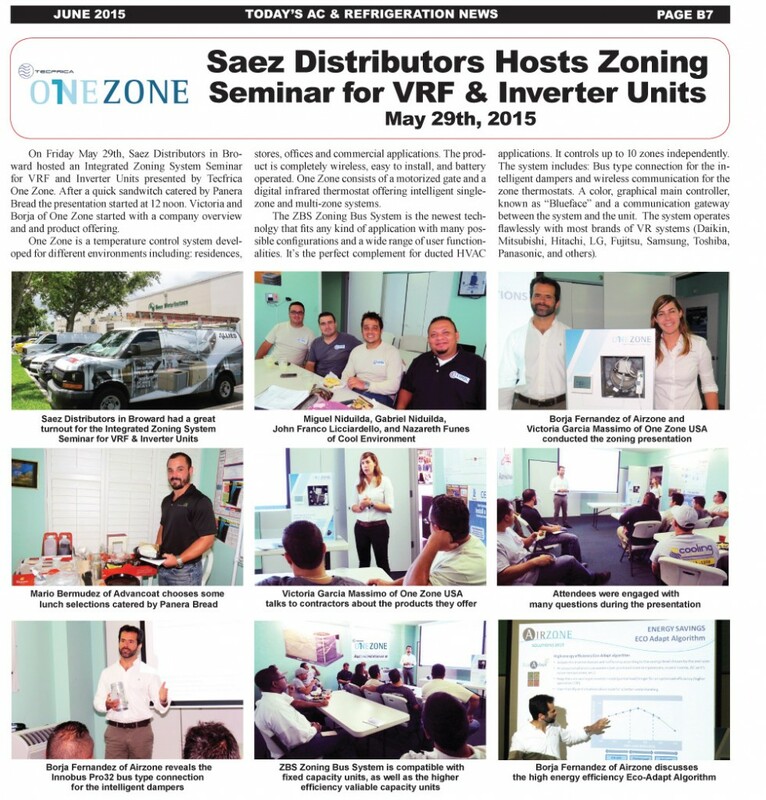 On Friday May 29th, Saez Distributors in Broward hosted an Integrated Zoning System Seminar for VRF and Inverter Units presented by Global Supply System Inc. After a quick sandwich catered by Panera Bread the presentation started at 12 noon. Victoria and Borja of One Zone started with a company overview and and product offering. digital infrared thermostat offering intelligent single zone and multi-zone systems. The VRF Zoning Bus System is the newest technology that fits any kind of application with many possible configurations and a wide range of user functionalities. It’s the perfect complement for ducted HVAC applications. It controls up to 10 zones independently. The system includes: Bus type connection for the intelligent dampers and wireless communication for the zone thermostats. A color, graphical main controller, known as “Blueface” and a communication gateway between the system and the unit. The system operates flawlessly with most brands of VR systems (Daikin, Mitsubishi, Hitachi, LG, Fujitsu, Samsung, Toshiba, Panasonic, and others).